Don’t wait for the perfect moment, take a moment to make it PERFECT! More often then not, when you make the amazing decision to propose you are counting on it being unforgettable for you both. After all this moment will forever be ingrained in your love story so one should make it EPIC! 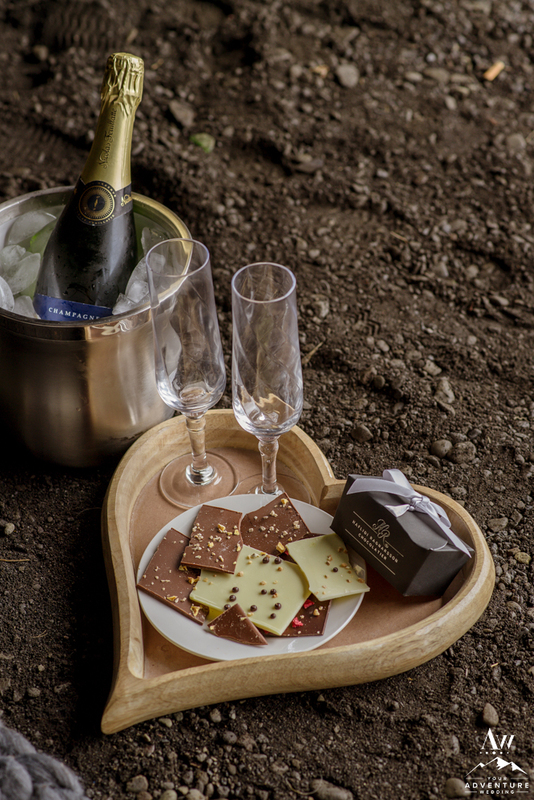 What could be more romantic than planning a proposal in Iceland with a luxury picnic? Nothing! 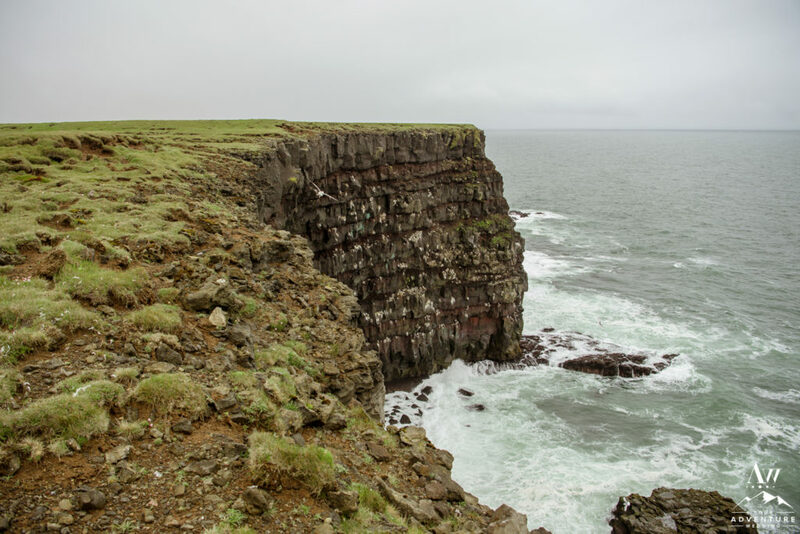 New Yorker’s Brian and Jillian were really freaking excited to plan a trip to Iceland. They could not wait for June to come and they could escape the hustle and bustle of NYC. 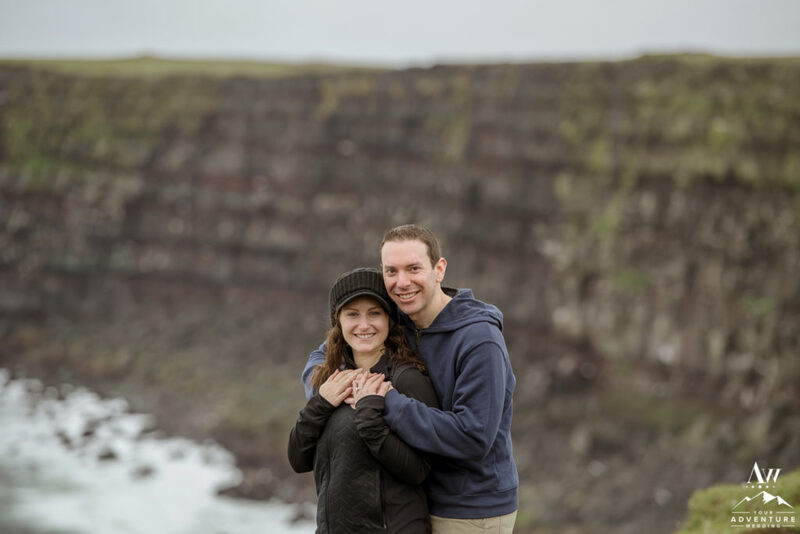 Little did Jillian know though, Brian was planning a surprise proposal in Iceland with us! Brian was seeking a private and dynamic location to propose. Which nowadays in Iceland can be tough to accomplish due to the excessive amount of tourists everywhere! 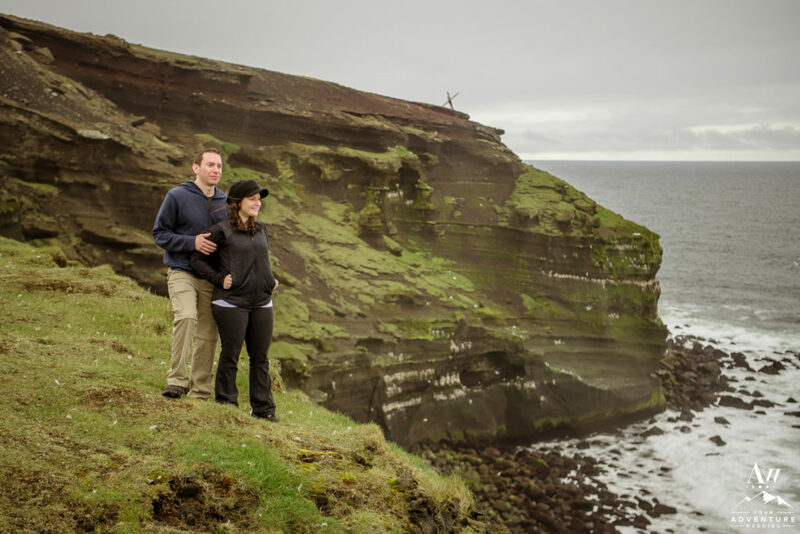 Good thing our Iceland Wedding Planner teams specialty is in scouting private and offbeat locations that are away from heavily populated tourist locations. 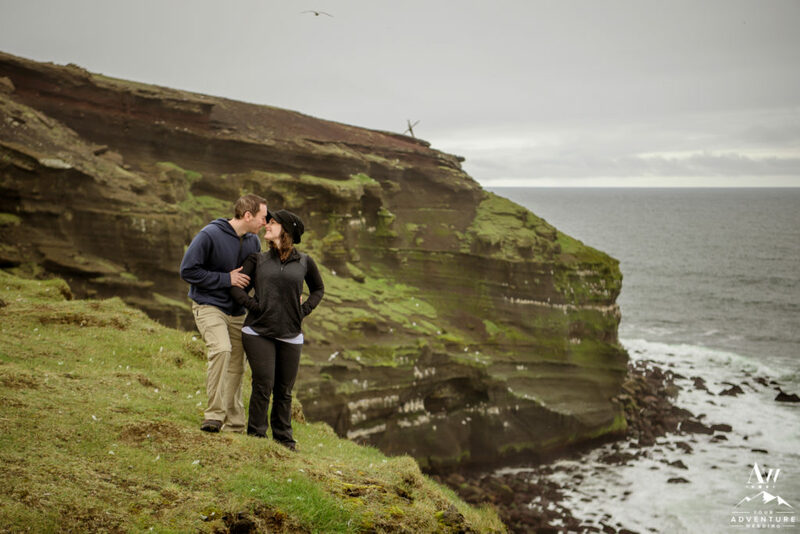 Having a more private location to propose in Iceland definitely amps up the intimacy. Who doesn’t want to have the experience of being the only ones there?! 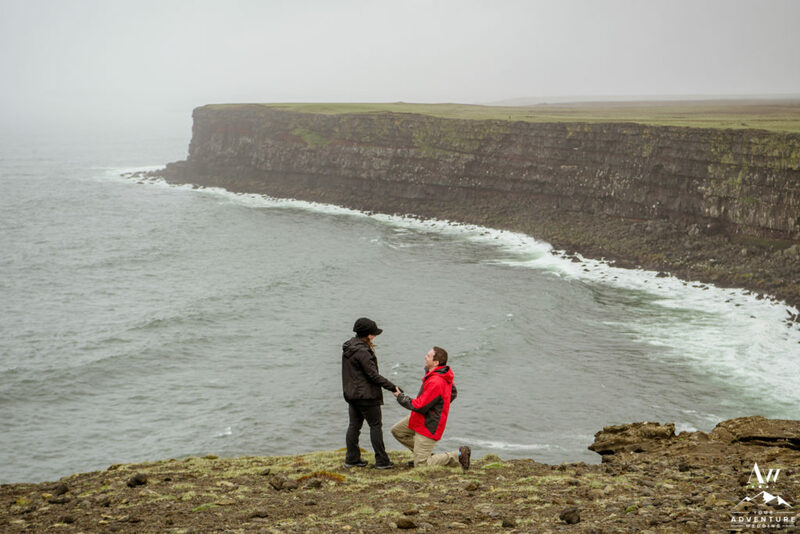 Planning on proposing in Iceland, can be hard to do without knowing the country you plan on proposing in or having access (or time) to create the ambiance for the perfect time! 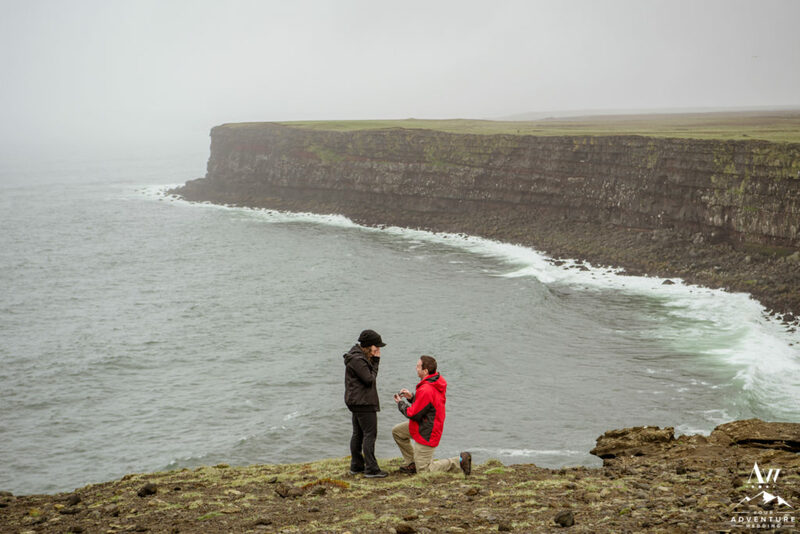 But then again, that’s why you hire a professional proposal planner in Iceland! 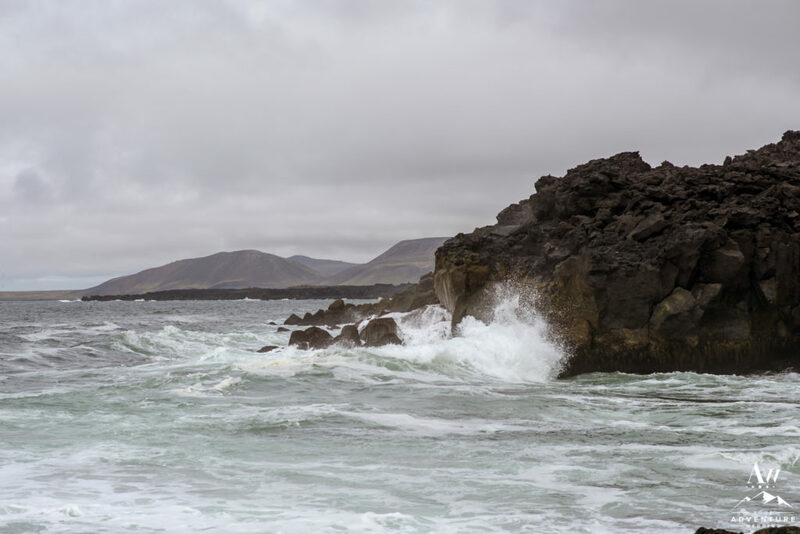 Iceland Wedding Planner Tip: Start planning your proposal in Iceland at least 3 months before (and 6+ months before if coming during summer). This timing ensures you get your ideal date and also the best proposal photographer to come along with you to capture it! 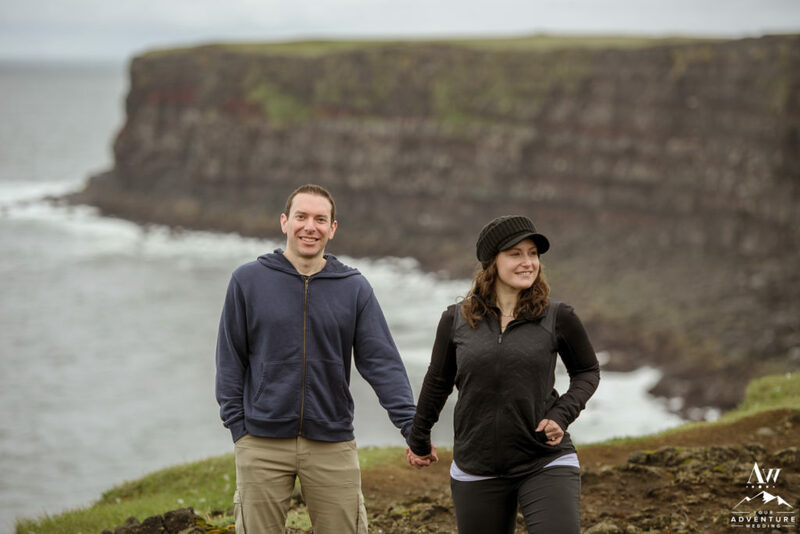 So come along with us as we relive Brian and Jillian’s surprise proposal in Iceland! 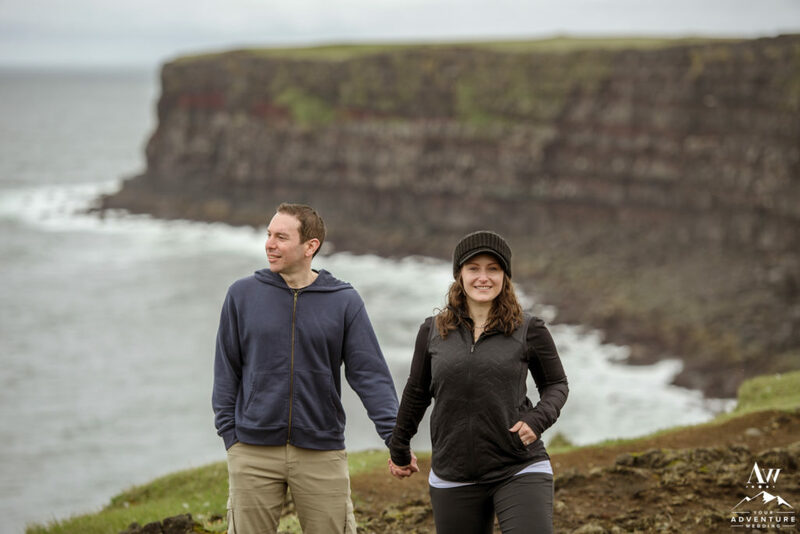 That lovely June morning, our Iceland Wedding Planner team met Jillian and Brian under the impression we were showing them local hidden gems. The excitement was off the charts for them to explore more offbeat places that would not be flooded with tourists! Our teams super jeep scaled up a private track to an amazing cliff! It had begun to rain but they didn’t care and just hugged each other harder as they walked. 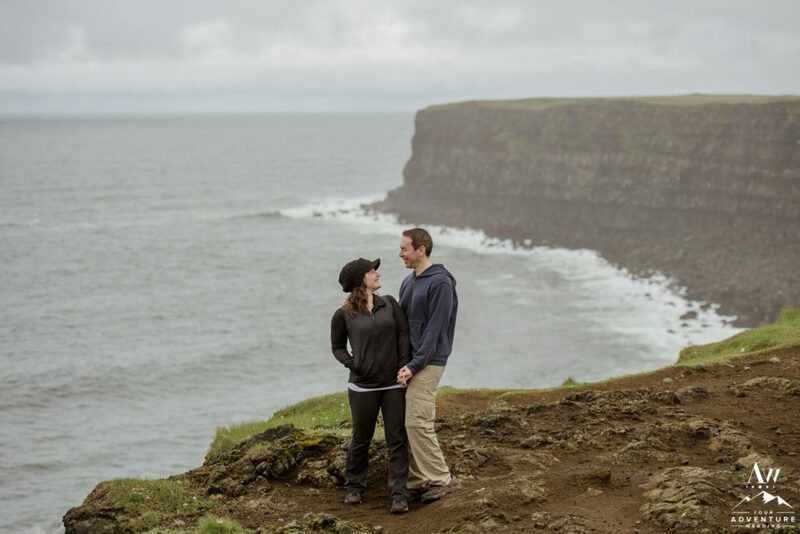 Exploring the cliffs together, Brian looked back at our Iceland Proposal Photographer, who gave him a nod of “do it!” Brian gave Jillian a sweet hug and then got down on one knee to propose an incredible lifetime of adventure to her. She said YES! Then Brian told her the next amazing surprise of that they get to delight in their engagement session today too! Jillian was all smiles needless to say! 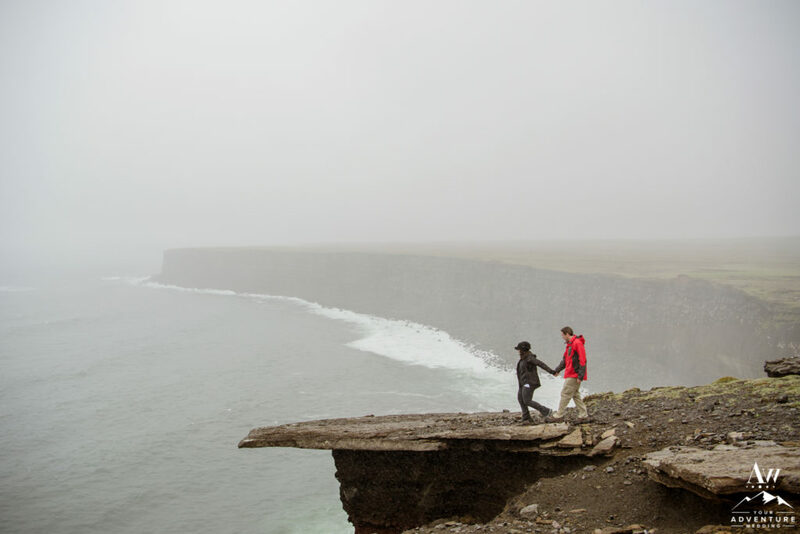 After the initial proposal they had a few minutes to explore these amazing seaside cliffs. 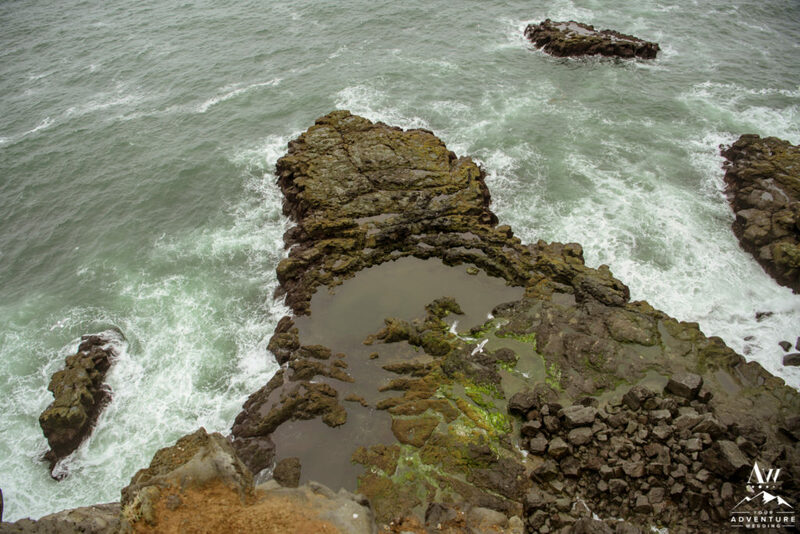 In summer these golden cliffs are an ideal bird watching spot because they like to nest in the cliffs. 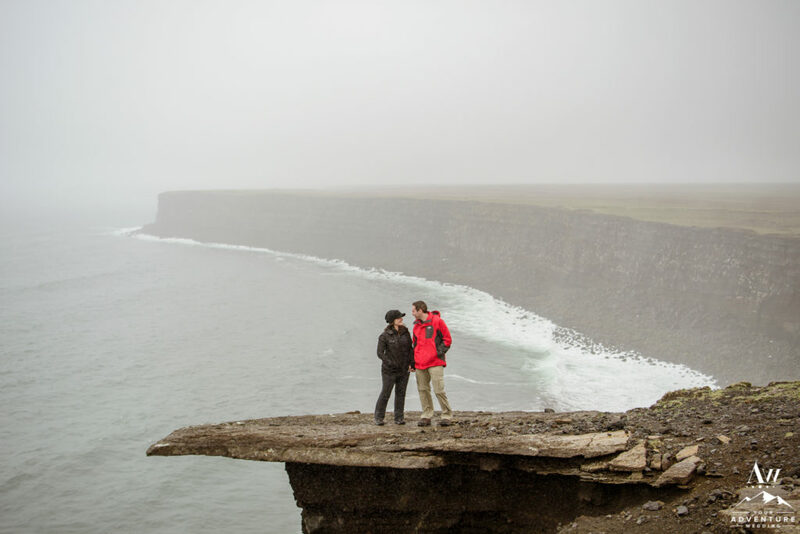 The fog came in and the rain came down a bit harder so they moved on to exploring the next offbeat Iceland proposal location. 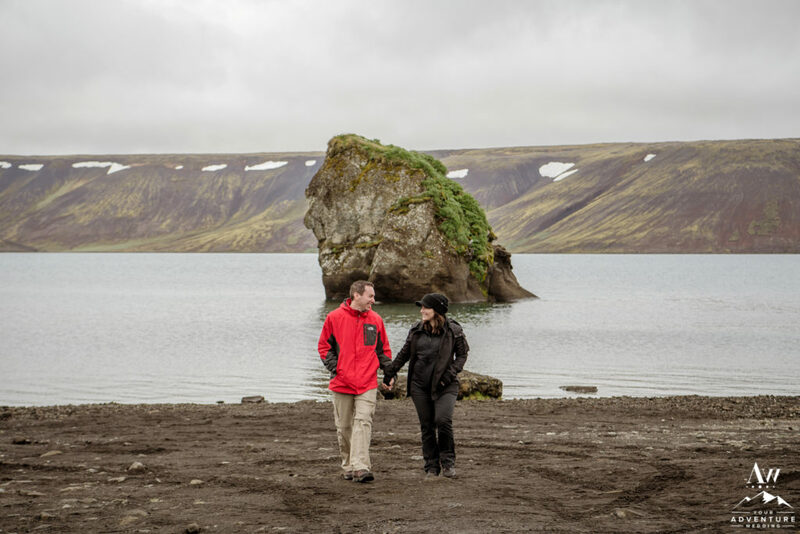 Brian proposed to Jillian with a solitaire Iceland engagement ring. 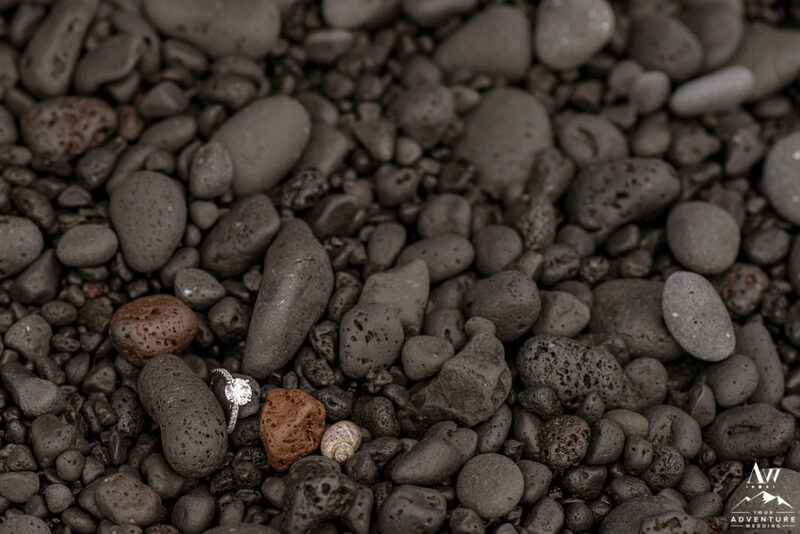 Despite the challenging weather day it sparkled and shines endlessly especially on black lava rocks! On stormy days, the black sand beaches look extra dramatic. 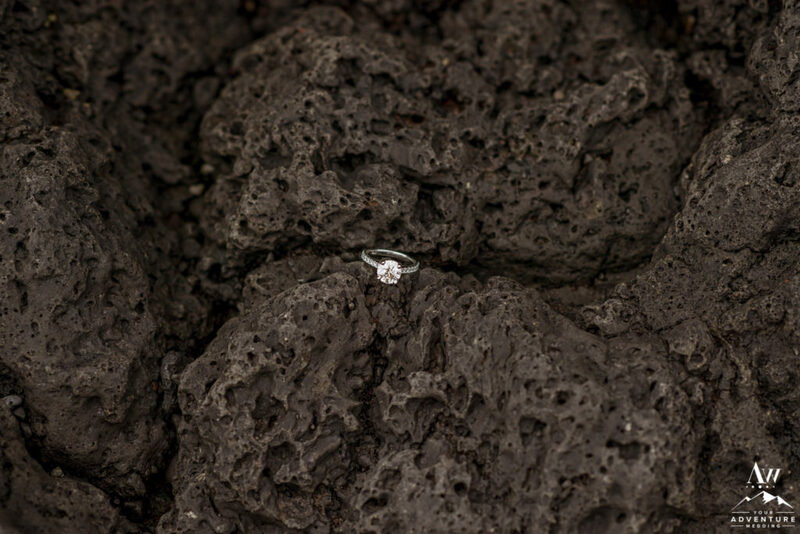 Jillian absolutely adores black beaches so it was important to Brian one is included during their proposal adventure in Iceland. An awesome super jeep ride and short walk brought them to this secluded black beach which was brimming with fabulous lava rocks! 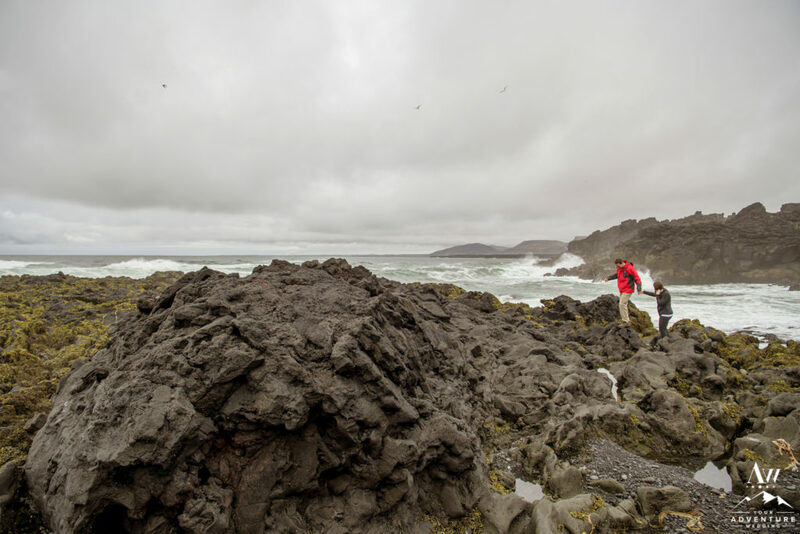 They explored, cuddled and embraced the weather for their Iceland engagement photos. 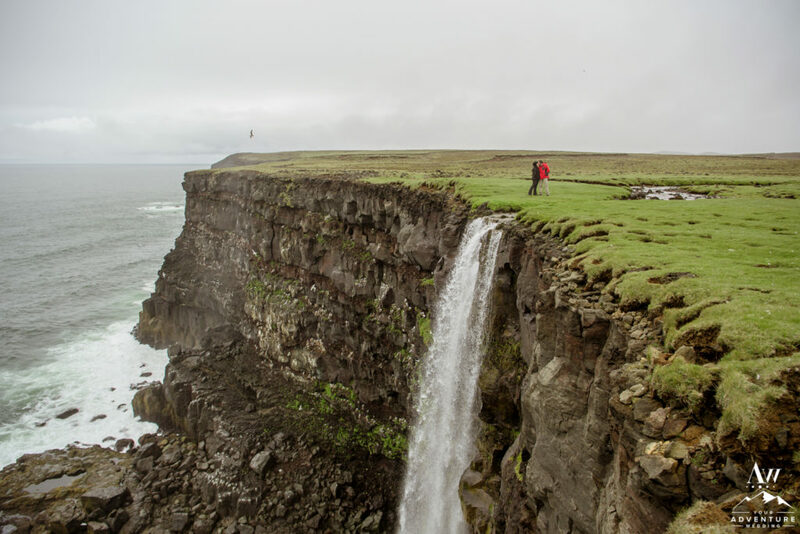 One of the highest private waterfalls our team has access to is a waterfall that falls off a cliff! Super unique textures and tones and our Iceland Proposal Photographer needs to wear a harness and rope needs to be tethered to the jeep to ensure safety of photographing. 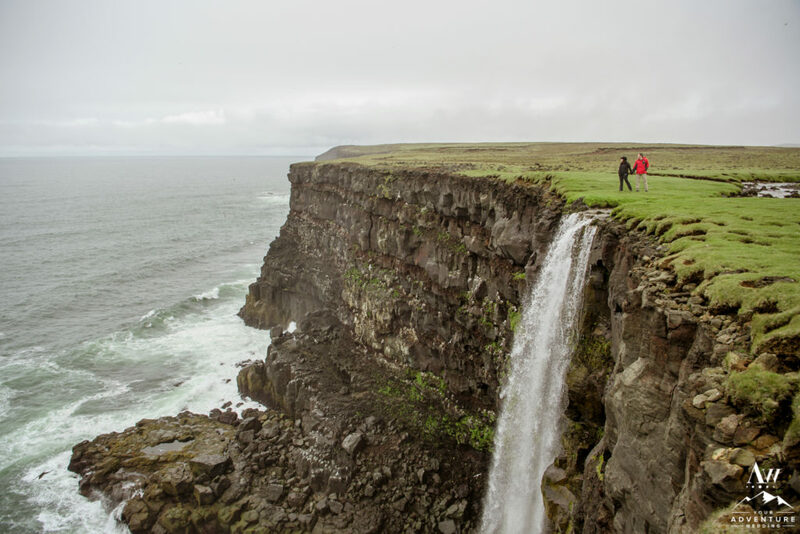 Totally worth it for these stunning Iceland waterfall proposal photos! Jillian and Brian adventured around together hand in hand taking in the moment and seeing the birds swoop around them! 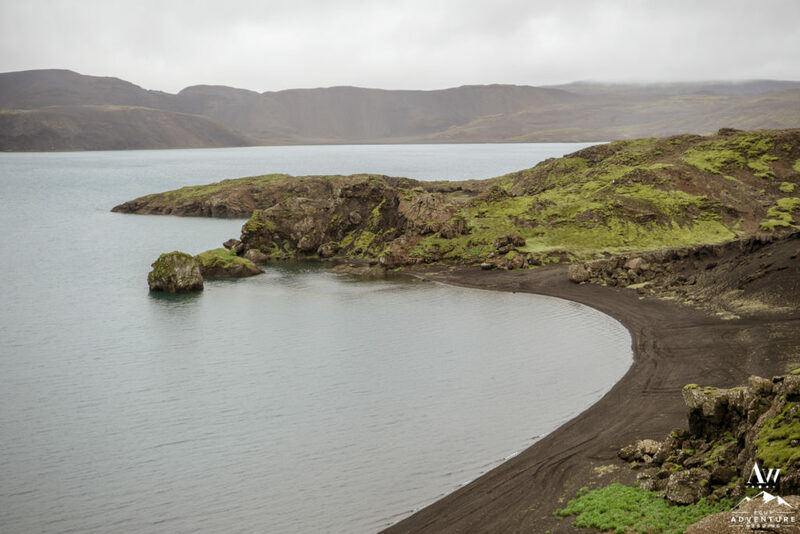 Did you know there are over 20 fresh water lakes in Iceland? One of our favorite lakes in Iceland is the one that Brian chose to explore and surprise Jillian one more time at! 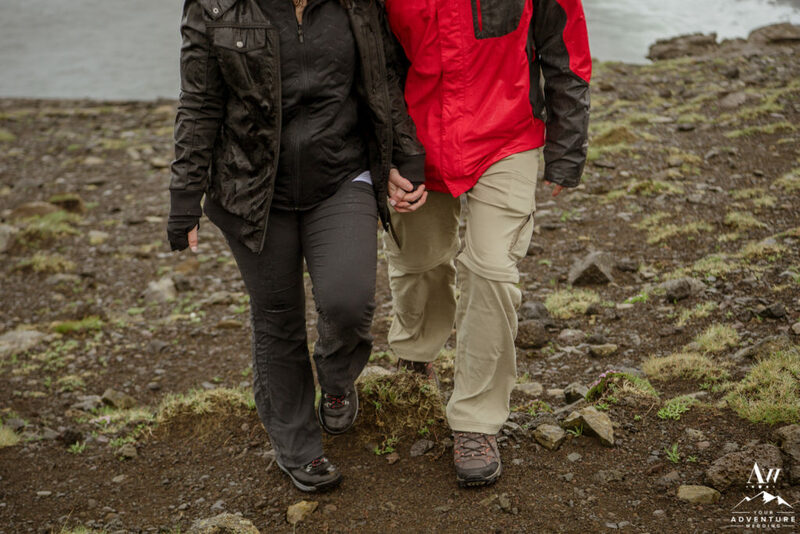 But before the surprise came, they delighted in a little exploration and engagement photos in Iceland. 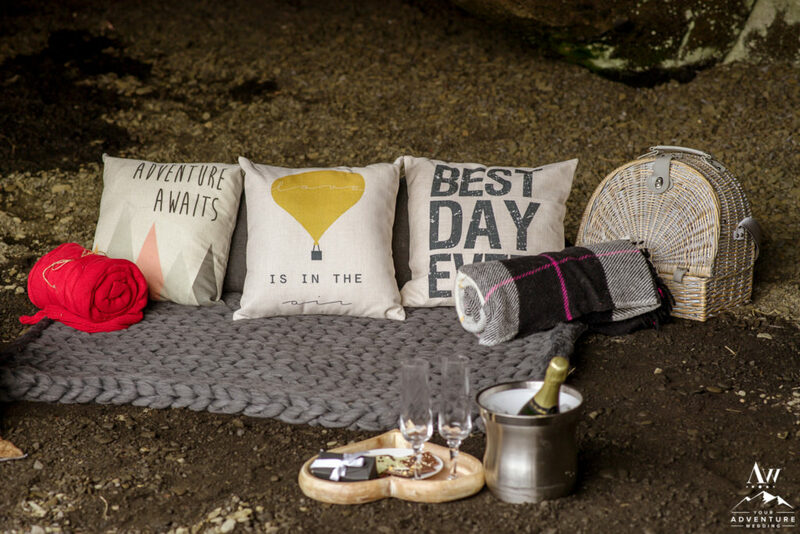 Shortly after Brian surprised Jillian with the last exciting item of the day… A luxury picnic in a private cave! 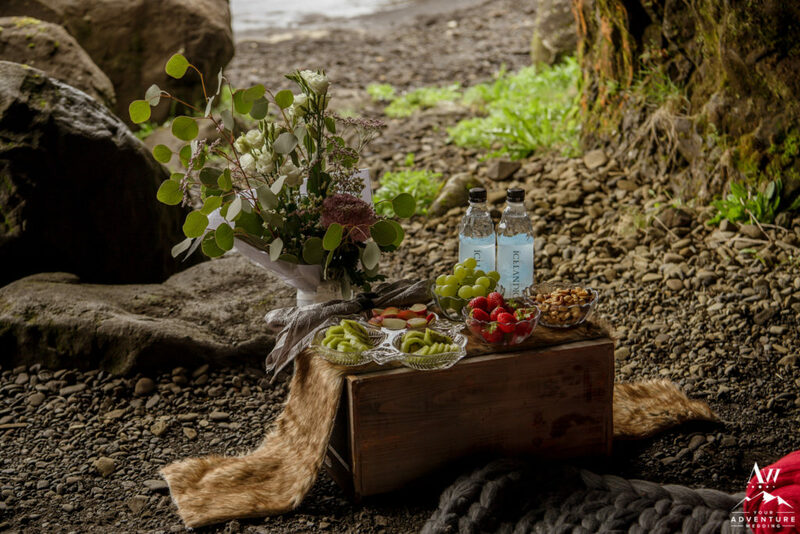 Pretty sure Jillian’s jaw dropped when she saw what our Iceland marriage proposal team had setup (compliments of Iceland Luxury Picnics)! It was a cozy romantic little setup that totally celebrated their newly engaged status. They delighted in Nicolas Feuillatte champagne in gorgeous glasses to start. 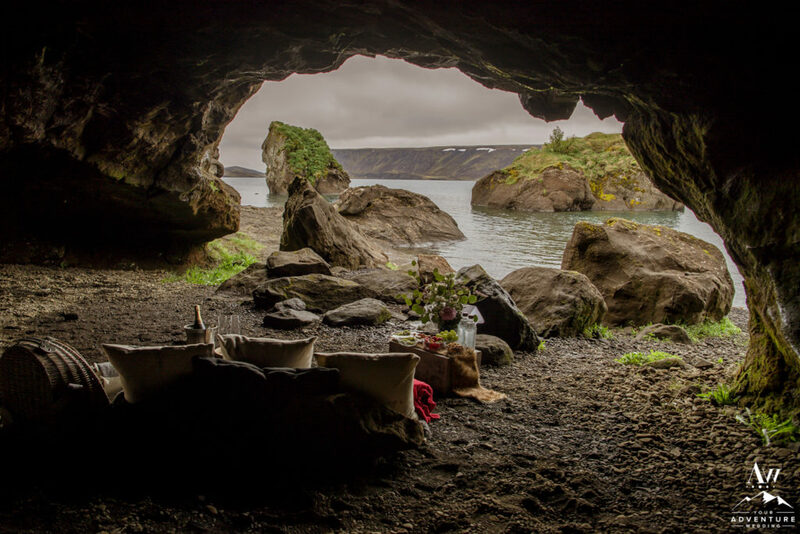 They snuggled up under wool blankets and savored every second of the gorgeous view from the cave. 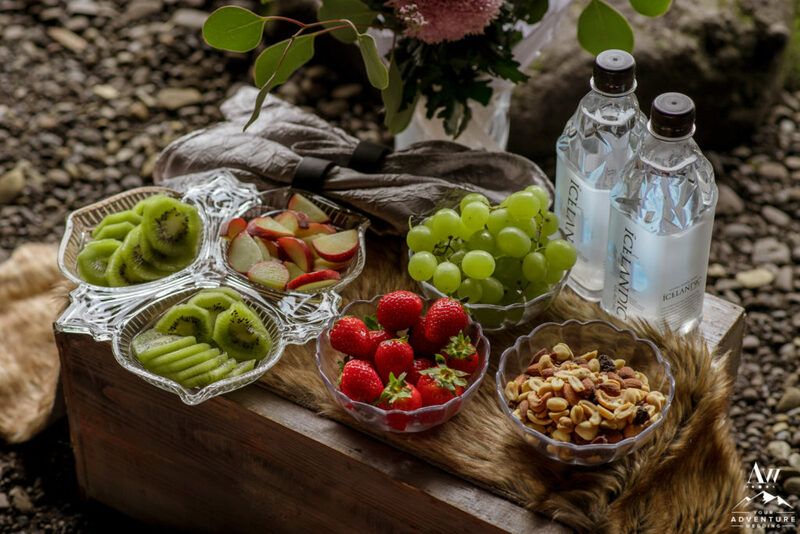 There were delicious snacks to try like HR Chocolates (artisan); strawberries; kiwis; grapes peaches; and nuts. 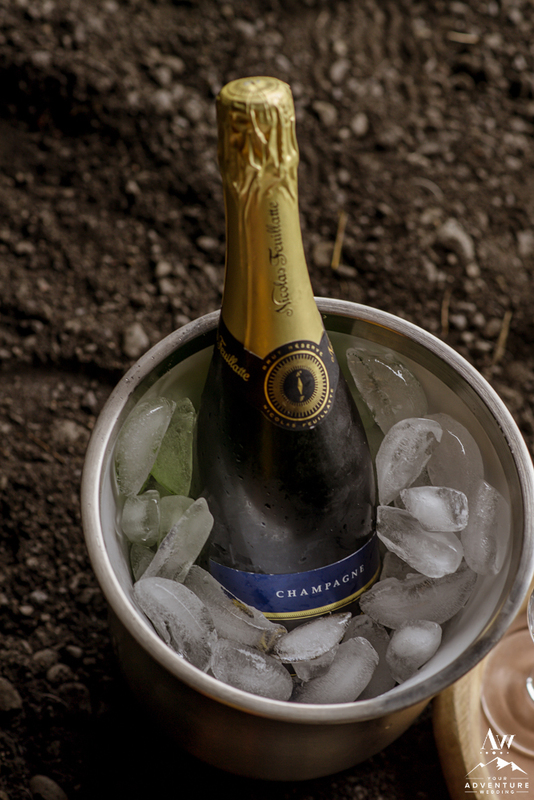 Our favorite Icelandic Glacier water was also part of the romantic setup just in case they needed a champagne break. It was seriously a PERFECT end to an incredible time proposing in Iceland! Congrats again to the newly engaged couple Brian + Jillian! We secretly hope you come back to have an adventure wedding or elopement with us too! Okay okay, so…. 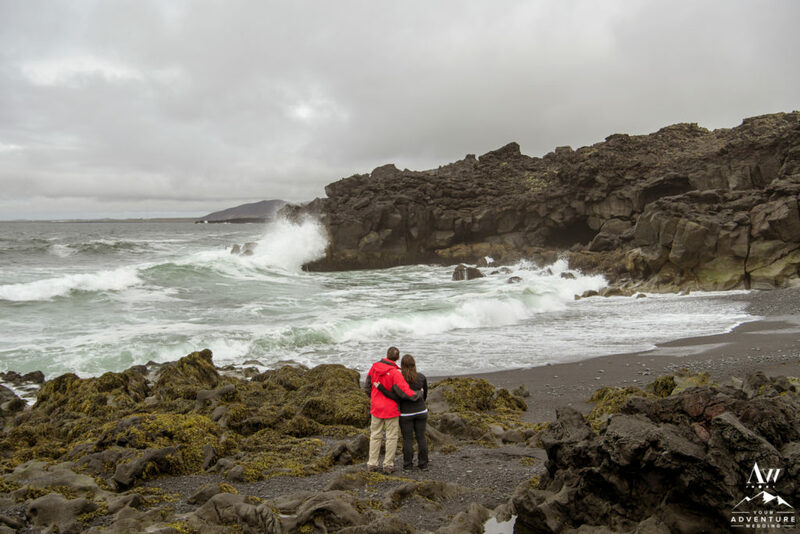 Did you totally enjoy these exclusive Iceland proposal locations? 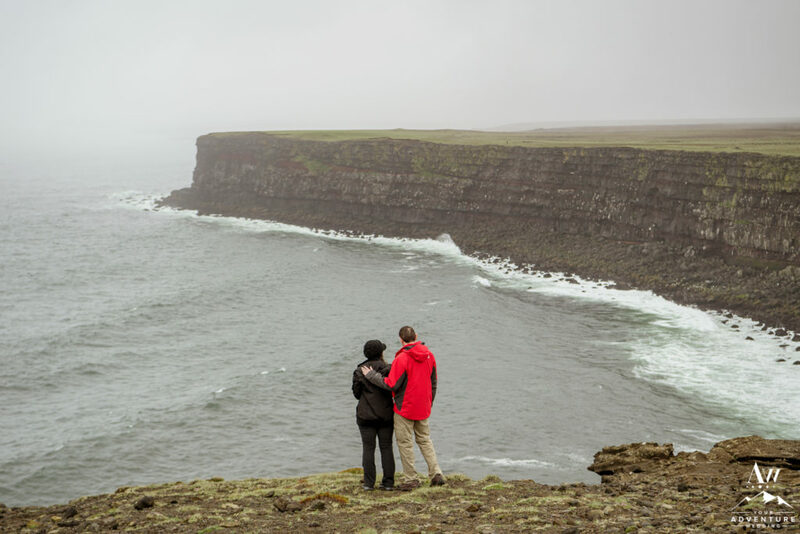 Want to have your very own unforgettable non-touristy place to propose in Iceland? Feel free to contact us for more information on making that a reality! We would love to custom craft an adventurous proposal schedule for you that both meaningful AND is fair away from the typical tourist locations. Who’s up to the challenge? 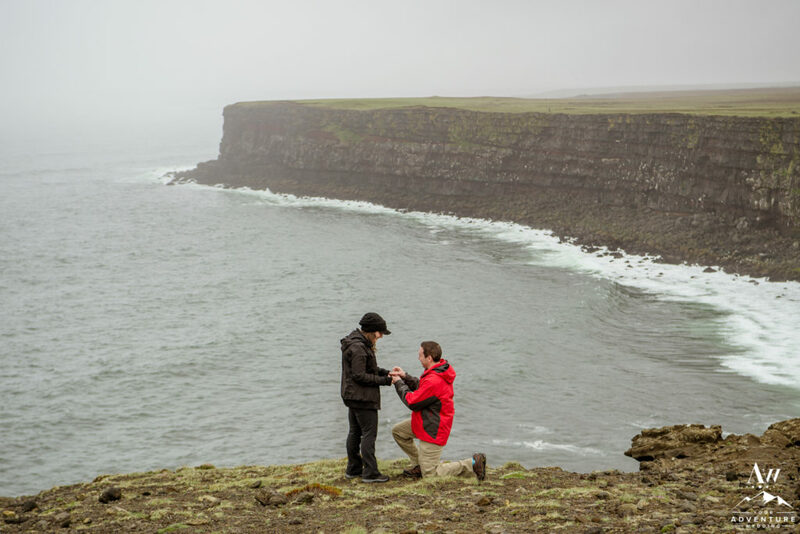 What location would you choose to propose at in Iceland? Is a canyon, cliff, private waterfall or cave proposal in your future?